You wouldn't believe the amount of help that a backup camera can provide to any driver. It is something that has become a standard part of the vehicles that are put out in today's market. As a safety measure, the backup camera is the kind of thing that a driver can rely on in terms of getting in and out of tight jams. It can help a person avoid hitting anything that comes behind their vehicle without them having to look over their shoulder. Apple is constantly updating their software to improve usability and security. The new version of Apple CarPlay is compatible with any Apple mobile device after the iPhone 5 with an operating system 7.0 or later. 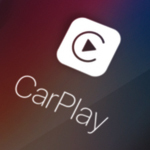 Apple CarPlay is essential for a quiet yet effective phone connection experience in your car. Instead of having to constantly reconnect or use cords, Apple CarPlay instantly links up with your vehicle without having to manually input any data.